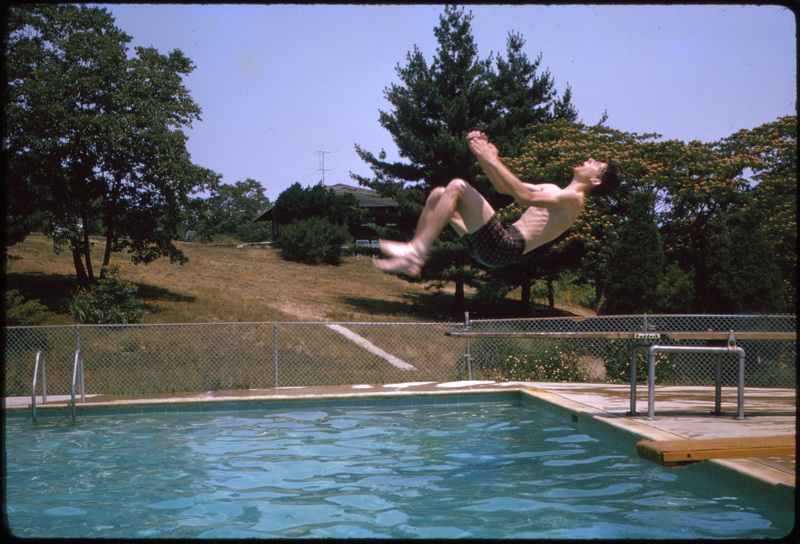 Backflip into the pool, Happy Valley Camp (Port Deposit, Md. ), 1964. From Slides B141. 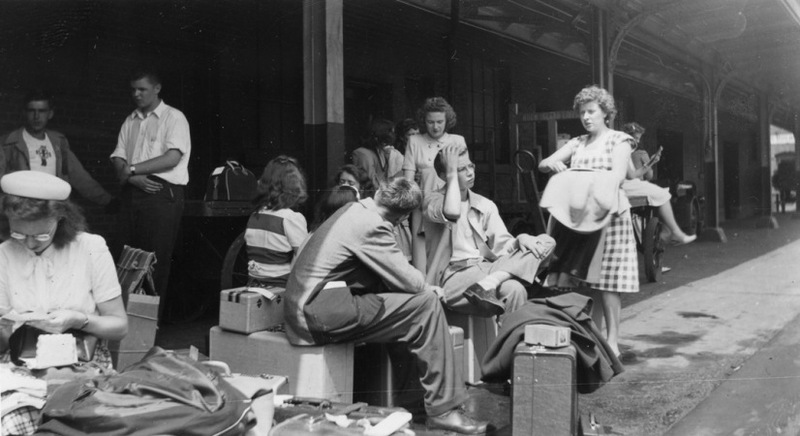 “Changing trains on the way to Grinnell Iowa – Westminster youth assembly,” Mora Mae Collins Gilley Scrapbook, 1950.